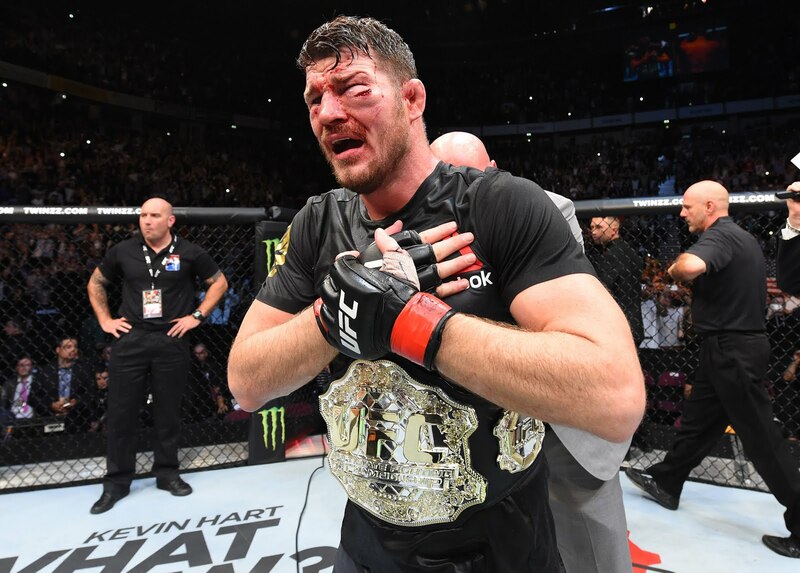 MANCHESTER ARENA, MANCHESTER, ENGLAND — Michael Bisping survived two knockdowns to retain his UFC middleweight championship, breaking the record for the most wins in history in the process in front of an ear-busting home crowd. Despite it being near to 5am local time for UFC 204's main event, fans were in full voice as "The Count" avenged his devastating loss to Dan Henderson by outscoring the American - in what also was Hendo's last ever fight. 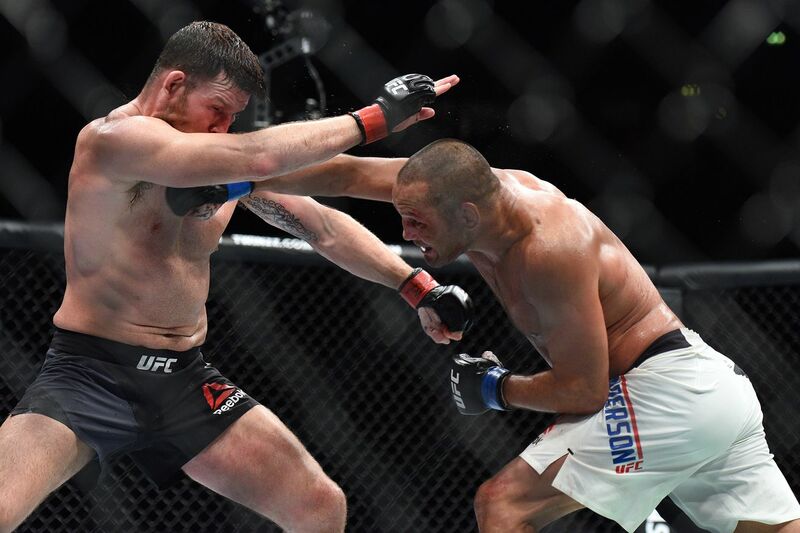 It capped off a remarkable evening (or morning) of action inside the Octagon, with all fights barring the opener and main event being finished inside the 15 minute time period. The more notable of those finishes was by way of Gegard Mousasi, finishing the legendary Vitor Belfort. 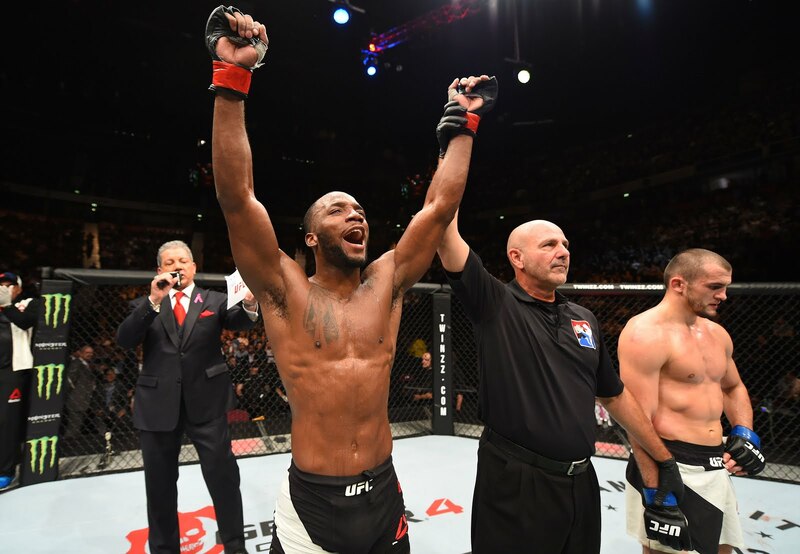 Not to forget, Jimi Manuwa reached a new high after a brutal knockout against Ovince Saint Preux, scratching the surface on yet another night to savour in the eight sided cage. In what was a damp squib to open the proceedings in Manchester, Leonardo Santos edged Adriano Martins in an uneventful all-Brazilian lightweight bout - the late/night crowd unimpressed even if things did pick up late on. Things would certainly pick up in the featured Fight Pass prelim, however, with Mike Perry brutally finishing Britain's Danny Roberts in the third frame of a riveting clash. The American appeared to be on the front door throughout the duration of the fight, although the fans in attendance were willing "Hot Chocolate" on at every opportunity, with sons clean head kicks and swift one-two combinations landing on his part. But in the third round, Roberts time would come to an end with less than a minute on the clock, succumbing to a big punch, knee and then subsequent ground and pound as the referee halted the bout. Marc Diakiese would drown the sorrows to say the least with a steamrolling second-round stoppage of Lukasz Sajewski. Flying out of the blocks to open his UFC account, the adrenaline would be the Brit's undoing as he was taken down after charging in. He'd get one back for himself though with a ground shaking slam towards the latter half of the opening frame, and the Pole's reason to grapple was clear - he could not contend with his opponent on the feet. And in the second round, a huge knee and some follow up strikes would eventually fold Sajewski up against the cage - followed by a jubilant celebration as Diakiese announced himself. Following that up was further success for the Brits, as Leon Edwards added a substantial feather in his cap at the expense of Albert Tumenov. He showed his prowess when the fight hit the mat with exceptional early grappling, but it appeared to take a toll on the energy reserves. Despite Tumenov growing in optimism, a swift, late takedown eventually opened up for the rear naked choke - and the biggest victory of his career. That train of momentum would be quickly halted by two successive submissions - armbar attempts would turn out successful one way or the other. The first was a stunning turnaround by Damian Stasiak, who weathered the storm against a vicious Davey Grant - surviving strikes from all across the Octagon - by outclassing him on the canvas and taking his arm back as a souvenir to Poland. 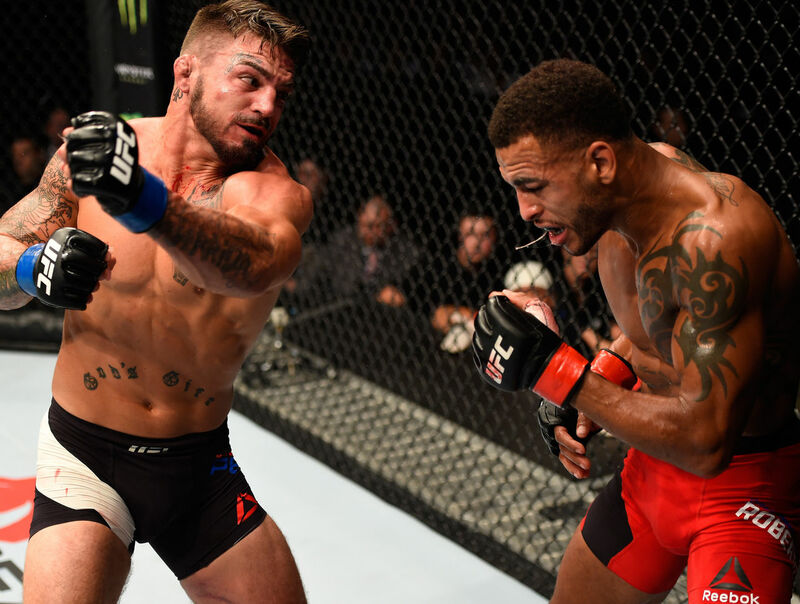 Wrapping up the prelim portion of the card, Brad Pickett was swept away by Iuri Alcântara as the Brazilian constructed one of the finest performances of his career. Working finely around the cage, he pounced at the opening by connecting with a spinning elbow, and adding a left hook to send Pickett down. From there, survival mode and a roaring support from the crowd wasn't even enough. Alcântara pounded, took the arm, until his opponent rolled over and tried to step out. Then he slapped on a triangle choke and that was all she wrote. Mirsad Bektić kick started the main card with a first-round submission victory over short-notice opponent Russell Doane. Returning from almost a year and a half on the sidelines, the result looked in little doubt when the Bosnian got hold of his opponent, eventually working his way to the rear-naked choke. Bektic calling his shot backstage: "I’ve been a prospect for a long time, but I’m not a prospect any more. I’m a contender and that’s that." Following that trend, the tallest UFC fighter on the roster dominated horizontally too. 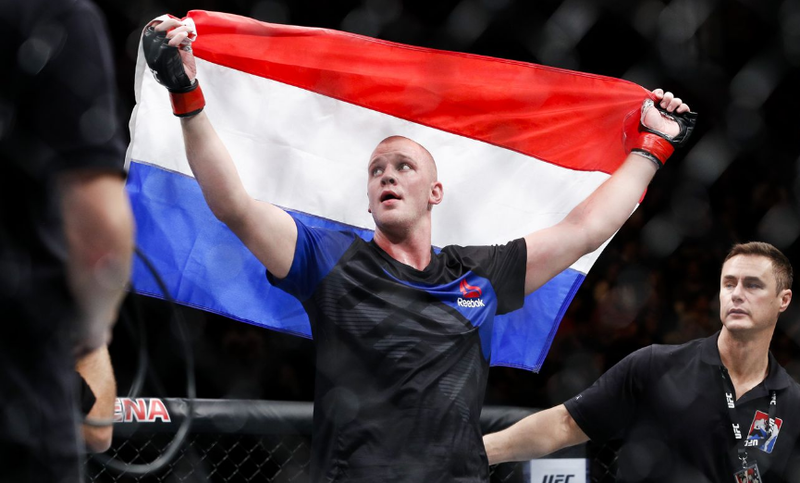 Despite possessing an astronomical height and reach advantage, it was the mat game of Stefan Struve which guided him to the win against Daniel Omielanczuk. His prowess on the ground was evident, leading to a D'Arce choke submission. 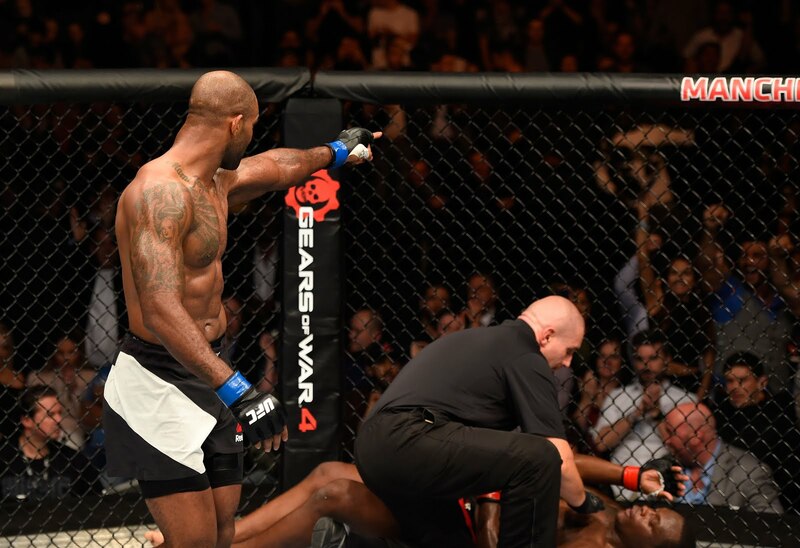 As things approached crunch time on the card, Jimi Manuwa scored by far the biggest win of his career as he flattened former title challenger Ovince Saint Preux. 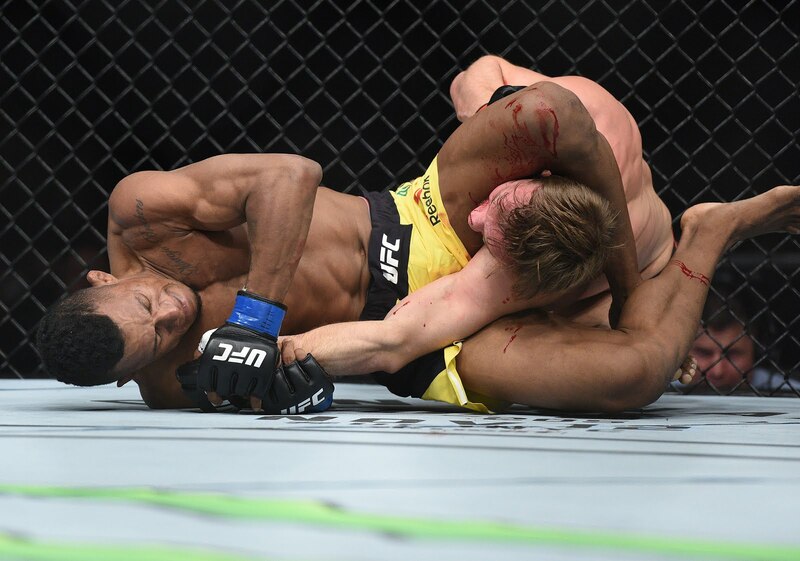 While it was the fighter from enemy territory doing the best with early on especially from a grappling standpoint, fatigue would cost him dearly in the second round. Manuwa began to tune up the band with punishing combinations, including some clean hooks to the body. As Saint Preux backed up against the cage, a big right hand sent him down, managing to restore his balances only just. A big left hook came to meet him not too long after, ending his night as Manuwa folded him with a spectacular stoppage. In the evening's co-main event, Gegard Mousasi further added to the pile at 185 lbs as he eventually tore through Vitor Belfort. Respect was shown from the outset, though, with knowledge abundant of The Phenom's danger in the opening minutes. Some eye-catching exchanges were on show as both went in and out, neither being phased by their opponent. That would all change in the second round, with the complexion of the fight morphed by a head kick. The Dutchman swarmed, and continued to let the shots fly; although Belfort covered up incredibly well. 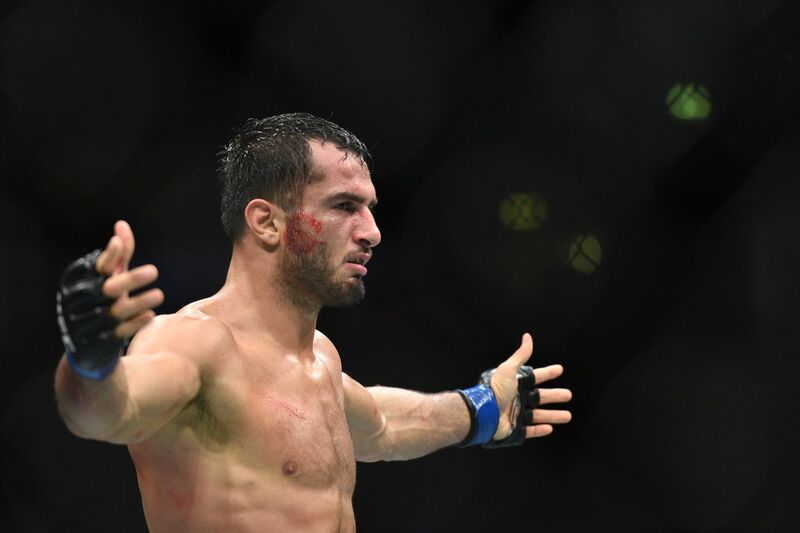 The takedown was the last straw, as Mousasi established dominance and pounded away to victory. And then, after the fights had flown by, one matter was left to be resolved: the right to retain or seize the middleweight throne. The answer would be unearthed after five compelling rounds of combat, in which Manchester's very own Michael Bisping prevailed. He would have to give it all he had when it came to the title fight, suffering two knockdowns in the first two rounds which really nullified his neat and composed work. The champion was playing with fire almost as he opted to stand toe-to-toe with Dan Henderson. The first instance was in the closing stages of the round one in which Bisping was left a bloodied mess; with the American not afraid to swarm and land a selection of elbows and punches. 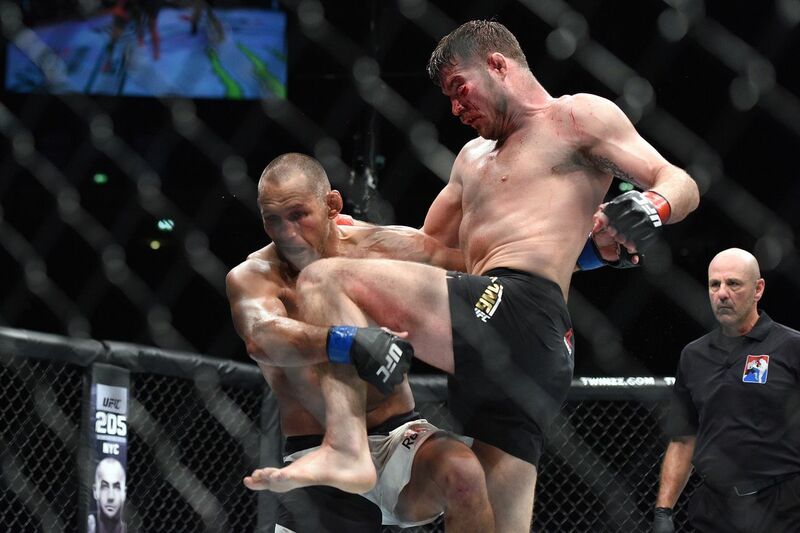 Before the second of those knockdowns was a demonstration of Bisping's progression in the contest, where he mixed up high and low smoothly, and hurt Hendo (although it seemed to be a groin strike), right until another overhand caused his legs to go from under him. As ever the warrior, The Count scratched and clawed his way back to now exploit the physical chasm - the age of the challenger would begin to take its toll in the championship rounds. 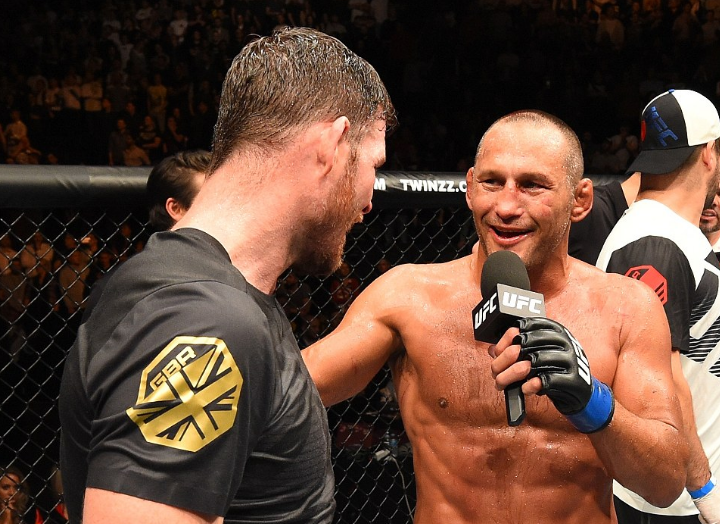 Bisping hurt him at times but there simply was nothing to defy the veteran, who showed signs of life right up until the final bell. With five rounds passed, it went to the judges scorecards. They read 48-47, 48-47 and 49-46 all in favour of the champion, confirming his first title defence as a success. Post-fight, the two opponents appeared to finally put their bad blood to bed, acknowledging respect for one another - and rightly so after waging war for five incredible rounds. Dan Henderson may not have retired with UFC gold, but after a lengthy career of unrivalled dedication, he walked off into the sunset as a respected and appreciated legend. Michael Bisping, meanwhile, went through it all but remains world champion. Even with other middleweights breathing down his neck, what he achieved in front of a home crowd will live long in the memory.